Wondering what Leica has up its sleeve for that destined-to-be-overshadowed event on the 9th? Well, wonder no more: these pics of the long-rumored M9 and something called the X1 just leaked out, along with some specs. We're told the M9 will sport a full-frame 18.2 megapixel sensor and improved low-light performance, but the real surprise is the X1, pictured above, which'll supposedly have a 12 megapixel APS-C sensor, a fixed 24mm lens and that funky grip handle, by which we're oddly fascinated. 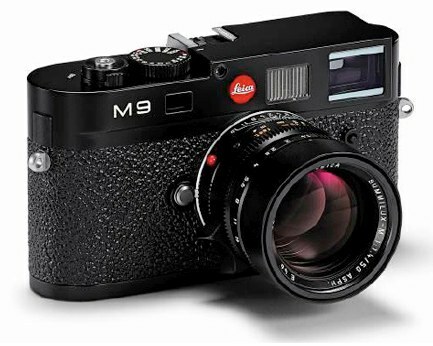 Maybe Leica's got some surprises left for the 9th after all -- pic of the M9 after the break.